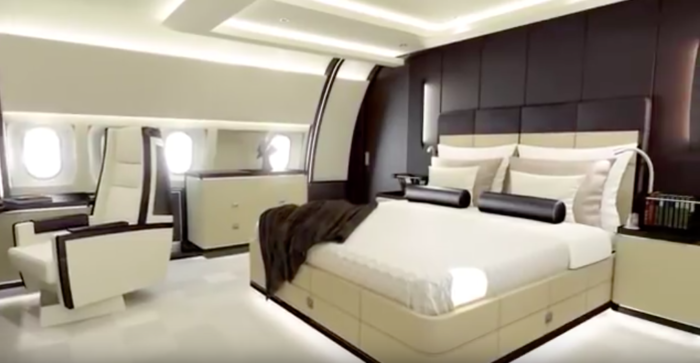 It is not very often that a luxury ex-presidential custom Boeing 787 Dreamliner comes up for sale, but if you are in the market now is the time to buy. 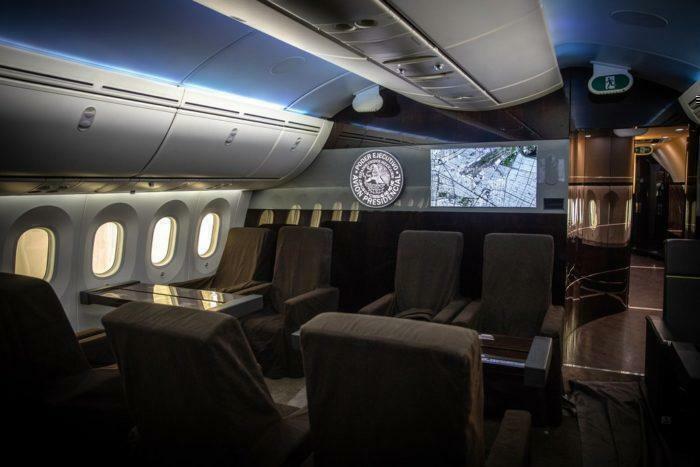 The current Mexican President Andres Manuel Lopez Obrador is selling his predecessor’s personal presidential aircraft, calling the plane a little too opulent for his office. And he might be right with just how lavish this 787 truly is. 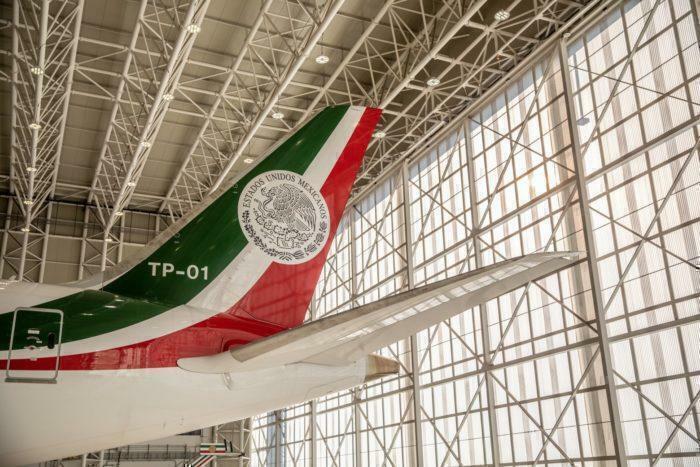 The custom 787-8 in Mexican government livery. The first thing to consider is the price tag: $218.7 million USD. 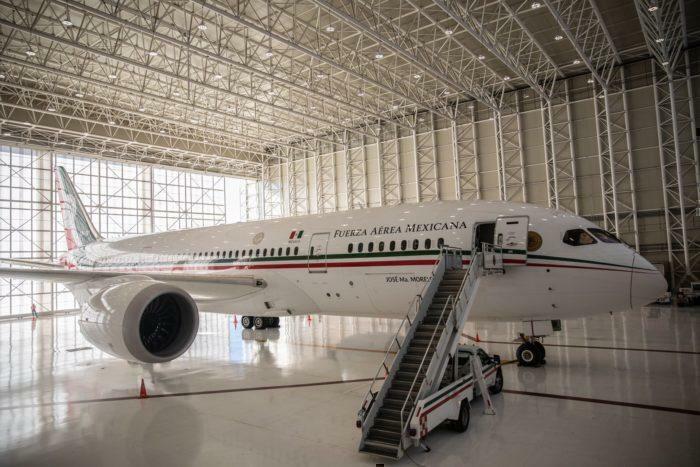 It’s so expensive that the Mexican government believes they will have to take a $70 million dollar loss just to part ways, as the secondary market for custom 787’s is simply non-existent or at the very least humbly underdeveloped. However, it is worth mentioning that the plane is relatively cheap compared the gold coated equivalents found in the Middle East (like the recent Qatar Royal Family plane that was gifted away to Turkey). The jet was also one of the original test 787-8 aircraft created by Boeing, that after the initial testing phase sat idle for a few years at the Boeing factory. Boeing then decided to ‘fix it up’ and sell it to a private buyer. Many people who can afford to shop in this price bracket also don’t want to go through the process of buying, waiting and furnishing a new plane. The fact that this one is ready to go is a huge plus. A computer rended film of the plane exists that showcases a few of the features. A boardroom/dining room for guests. 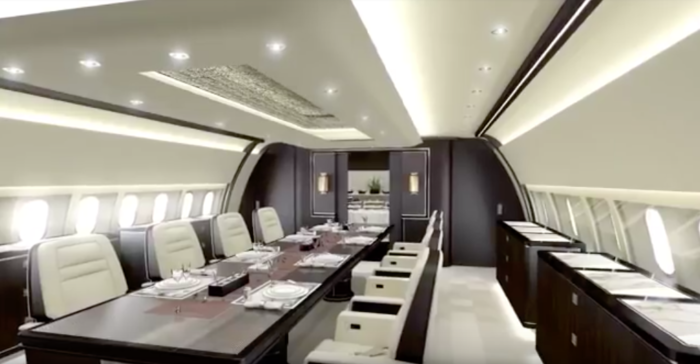 Apart from the VIP areas of the plane, there are several other sections that include normal seating for presidential entourage and other staff members. And a TV/Fireplace. 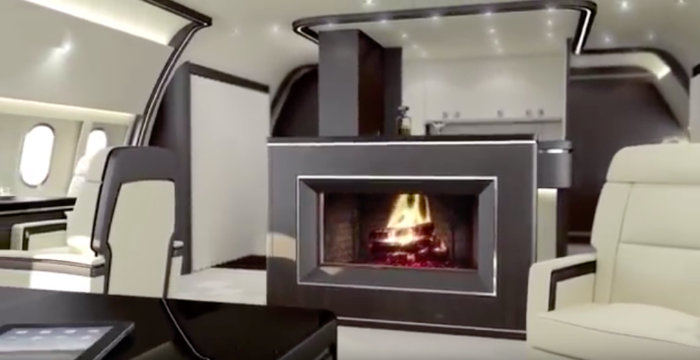 We assume of course that it is not a real fireplace but the CG video makes it seem very real. At the back of the plane, there are several bedrooms. The master bedroom takes up the entire rear of the aircraft. Notice the real beds on board. As well as ‘real’ bathrooms, that look like they could be in a luxury hotel. 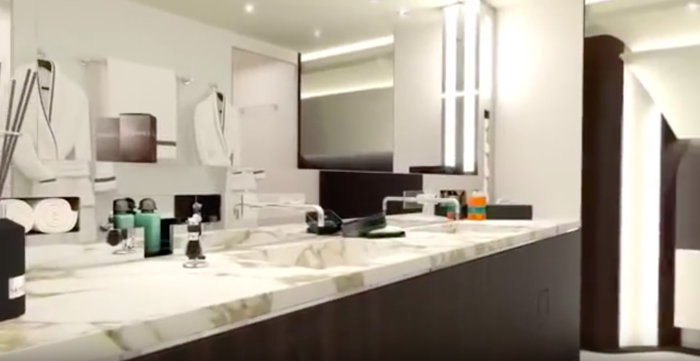 The bathrooms feature a marble countertop and real faucets. 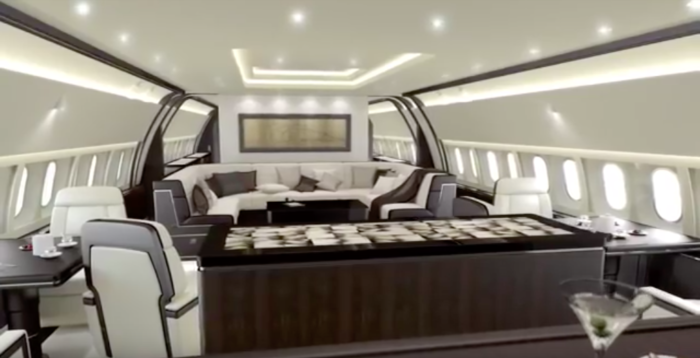 For comparison’s sake, a jet like this could be rented for up to $70,000 an hour. This would make an eight-hour flight to Europe cost around $560,000 each way. The Mexican government is also selling an additional 60 planes and 70 helicopters. The real interior features dark wood paneling over the lighter materials in the video. Whilst the government sees the jet as an item of previous corruption, they do admit it was very useful to fly around in and cover their large country. The jet has been moved to a hanger in California until they find a buyer. The tail of the lavish jet. What do you think? Would you buy the jet for $100 million? I would like the contact information of the party listing this aircraft for sale if you have it. I would also like to know who is in charge of the sale. Thanks.